Two decades ago, Abby returned to Floras Creek, tilled up a patch of ground near the river and began growing salad greens for local markets. Since then her business has expanded to include a few acres of production and a loyal following of restaurants, grocery stores, and salad enthusiasts. 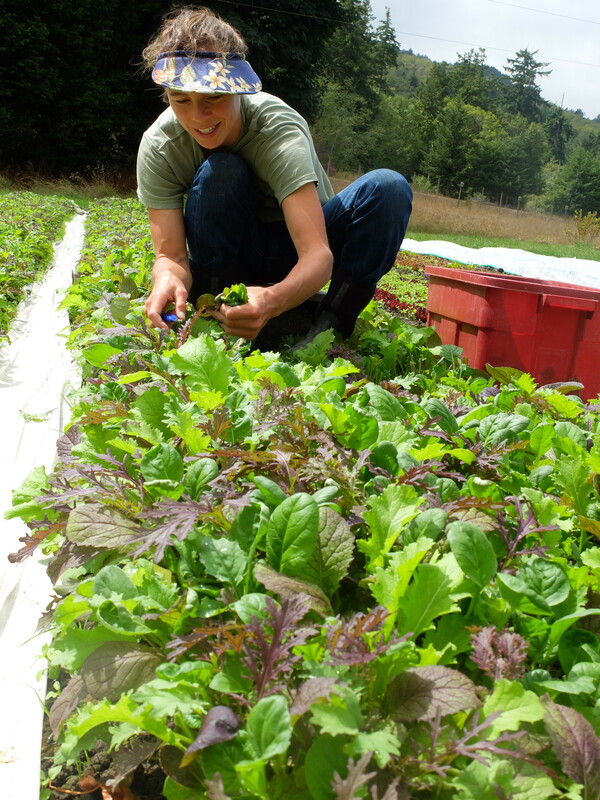 Every week she seeds over 26 different varieties of lettuces, asian greens, and flowers in order to create the high quality, beautiful salad mix that we've all come to know and love as Abby's Greens. You can find Abby's Greens at local restaurants & stores, or sign up for an Abby's Greens Salad Share to receive a weekly delivery of greens for 20 weeks during the growing season.